This home is a 3-bedroom, 2-bathroom with its own private screened pool. 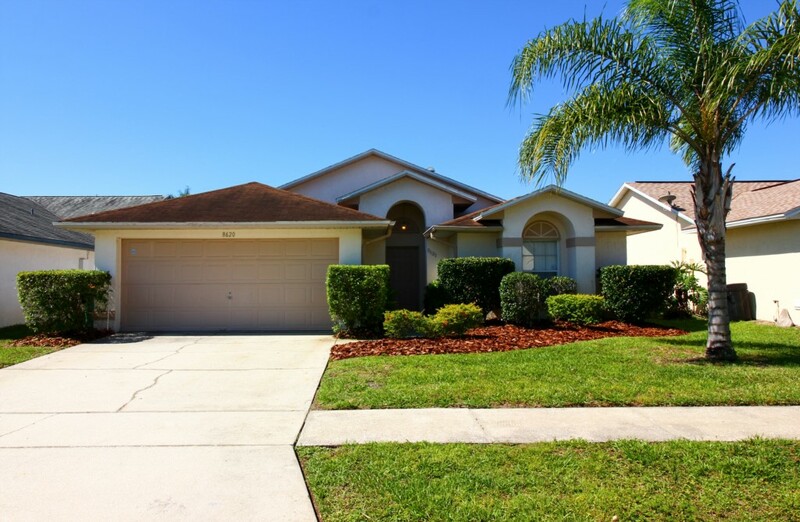 The home is located in Lindfields; a peaceful subdivision situated approximately 10 minutes from the Walt Disney World entrance and is conveniently located for the other attractions. This home has a maximum sleeping capacity of 8. The master bedroom has a king-size bed; the 2nd and 3rd bedrooms both have 2 twin-size beds in each and the sleeper/sofa will accommodate 2. Beautifully furnished there is ample kitchen equipment, range, microwave, refrigerator-freezer, towels, linens etc. There is cable TV in the living room with a DVD player, TV/DVD combos in both of the twin rooms and TV/VCR in the master bedroom. There is also a Play Station provided. The two-car garage houses the washer and drier. There are two dining areas, one traditional and one casual off the living room.